Cheetah Digital provides the technology and expertise B2C marketers need to deliver enterprise-scale brand experiences and meaningful customer engagement across every touchpoint. As a cross-channel marketing technology company, managing email programs across our entire client base can be a time-consuming task. Our teams spend quite a bit of time logging into different tools to get the full picture for a client’s deliverability. We were excited when Return Path, a long-standing partner, asked us for feedback on a new platform they were building just for ESPs. We were one of the first users of the Partner Platform and provided our thoughts and use cases throughout the beta program. After using the Partner Platform, we quickly realized that it helped fill a gap in the market. The platform allows our teams to consolidate and better define deliverability metrics for all of our clients. It provides visibility into actual subscriber data as well as reputation and list management indicators in one place. Having a single system has helped us save time while monitoring our clients’ sending performance. Return Path listens to partner feedback, and many of the enhancements we see are things we’ve directly asked about. We’re excited about the latest release’s new features and enhancements, including enhanced visibility around Cloudmark message filtering, highlighting impactful blocklists in the Dashboard, and new options around customizable email alerts. To learn more about the Partner Platform, read more here. With close to 20 years in the interactive marketing industry, Casey has built his experience leading projects and teams at DoubleClick, The Home Depot and Return Path. Casey has helped hundreds of leading marketers integrate data and technology to build profitable marketing programs. 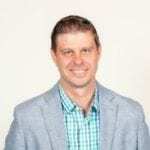 He is currently leading the North American Deliverability Services group at Cheetah Digital where he is responsible for driving & developing strategic solutions that increase email ROI and enhancing organizations email practices to achieve optimal sending reputation.